Nobody was really expecting Incredibles 2 to have as big of an opening at the box office as it did. It made a whopping $180 million dollars domestically, which was above expectations. 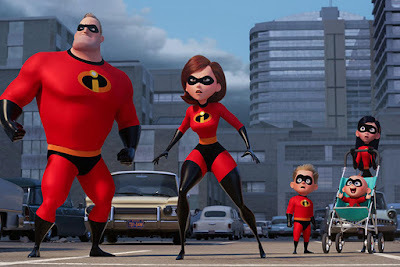 We all knew Incredibles 2 was going to be big, but I don't think anyone expected it to be that big. I liked the film quite a bit. 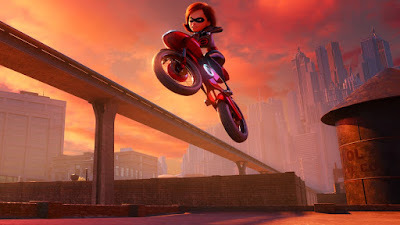 I thought the original was far superior, but considering how lackluster Pixar's sequels have been in the past, I found Incredibles 2 to be pretty good. You can read our full review for the movie here. However, after its giant debut, Incredibles 2 kind of fell out of the public consciousness. Jurassic World: Fallen Kingdom opened the weekend after, and it crossed the billion dollar mark almost a month ago (you can read about that here). But whenever you looked at the box office numbers week after week, Incredibles 2 was slowly but surely climbing up the ranks. I thought there was a chance it could cross a billion, but if I had to be money on it I thought it would lose steam before it could hit the mark. Well, Incredibles 2 proved me wrong, because it just crossed one billion dollars at the worldwide box office, becoming the fourth movie in 2018 to do so after Black Panther, Avengers: Infinity War, and Jurassic World: Fallen Kingdom. Like I said before, I didn't really think Incredibles 2 would get this far. I thought it would cap off around $900 million, but it got that final push it needed to get in the billion dollar club. I think that's mainly because there hasn't really been any good animated movies since Incredibles 2. Sure you had Hotel Transylvania 3: Summer Vacation, but that's not the kind of movie that appeals to adults equally as much as it does to kids in the same way that Incredibles 2 does. The only other competition Incredibles 2 has had is Teen Titans Go! To the Movies, which opened last weekend to about $10 million dollars, so that clearly wasn't much of a threat. When you put it in perspective like that, you can see why Incredibles 2 was able to inch its way across the finish line. Looking to the rest of 2018, I don't think there are any other movies that can join the billion dollar club as well. There are movies coming that will probably be big box office successes, but nothing that I think has an honest shot at crossing a billion dollars. That's a tall order. The only scenario I can picture is if a film is lightning in a bottle and it has the perfect storm of nothing good coming out around it and it's able to dominate week after week at the box office. But I don't think there are many films in that kind of position. But, you never know. There are still several months left where something can surprise us. What do you think? Are you surprised Incredibles 2 has crossed $1 billion dollars worldwide? Do you think there are any other 2018 films that can also join the billion dollar club? Leave your thoughts in the comments section below.